RFID applications, such as transport management, vehicle management, car parking, production process control, and access control. management, vehicle management, car parking, production process control, and access control. 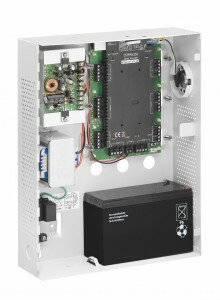 The state-of-the-art single/dual door AC-215IP networked access controller is the backbone of medium scale security systems handling up to 30,000 users and 2046 doors. Driven by Rosslare’s powerful, flexible, and easy to use software, the system provides an ideal modular and expandable solution for commercial and institutional needs. It provides seamless integration with Rosslare’s range of RFID proximity, pin, pin & prox, smartcard, and biometric readers with Rosslare’s selection of RFID credentials.